If you didn’t judge your abilities, what would you create? I remember writing and drawing when I was a kid but I allowed other’s judgments of my creations to stop me from creating. Until I realized how totally insane that was. I actually did not know I had any ability that way until just a few years ago. Drawing, painting, music, writing – creativity- is like breathing to me now – it’s who I be, in my very essence. Allowing other’s judgment to ever stop you from being you is just pure insanity. 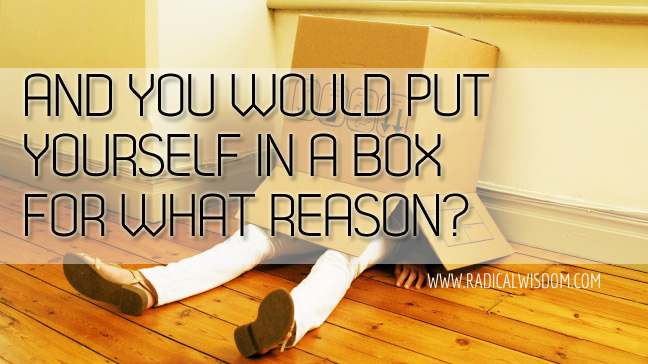 It’s like putting yourself in a box because someone else finds you too big. If you didn’t judge your abilities to do what comes to you with ease or allow other’s judgments to ever stop you, what would you create? How would you spend your time?